Miramontes Capital | Do You Have To Wait Until Age 59 ½ To Take Money Out? Do You Have To Wait Until Age 59 ½ To Take Money Out? 25 Aug Do You Have To Wait Until Age 59 ½ To Take Money Out? Posted at 11:38h in financial planning by Brett F.
Picture this: you have saved up for years to bolster a healthy retirement fund. But do you have to wait until age 59 ½ to take money out? When is it acceptable to begin drawing from your retirement accounts? A very common question that clients ask here at Miramontes Capital involves what is called Regulation 72(t)—the 10% penalty for tapping into your retirement accounts before the standard age of 59½. The thought of losing another 10% of your hard-earned retirement funds to the IRS is enough to keep you from even considering taking the money out early—but is there a way? Do you have to wait until age 59 ½ to take money out of your retirement fund? 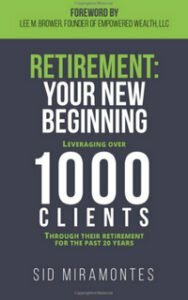 One recent client at Miramontes Capital needed to retire at 58. We met with his CPA to discuss the possibility of the client taking an early distribution from his retirement account. We reached the decision that taking out early payments could work for him through filing a 72(t), a plan designed by the IRS to allow individuals to withdraw “substantially equal periodic payments” for a set amount of time, while avoiding the 10% tax penalty. Using this, we constructed a plan in which he could withdraw a certain amount each year over the next 5 years. 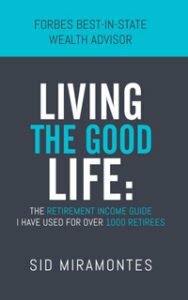 He remained on-track financially, and was able to build his retirement in the way that made most sense for his family. A Substantially Equal Periodic Payment, or SEPP plan, though relatively straightforward, is still an exception that is not for everyone. Certain factors, such as needing to retire before previously planned, or having debts that may be burdensome to pay off, may make a SEPP plan a good option. It is important to remember that very specific guidelines must be met regarding the payments, which depend on the way you choose to set up the SEPP exception. One rule to keep in mind is that the payments need to continue for at least five full years, or until you have reached age 59½ (whichever is greater). This means if you start drawing on the account when you are 50, you will need to continue receiving the payments until age 59 ½. The same rule—either five full years or at age 59 ½ —applies to Regulation 72(t) as well. It is recommended that you only pursue a SEPP exception with the guidance of a financial professional, and possibly a tax professional as well. If you are still asking yourself, “Do you have to wait until age 59 ½ to take money out of your retirement fund?”, you should consider contacting a professional at Miramontes Capital to assist you with your retirement planning process.